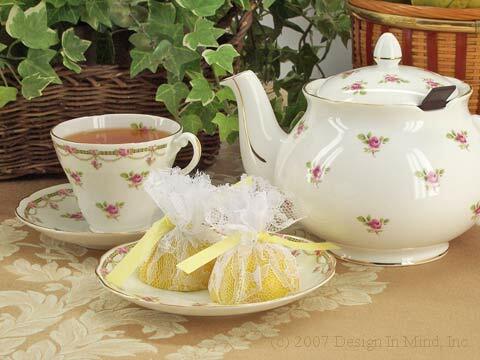 Like to serve honey and lemon with your tea? Try these accessories. 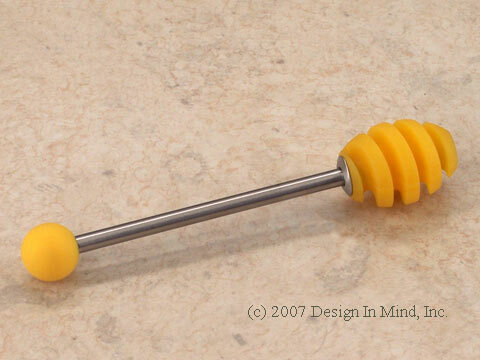 Silicone and stainless steel honey dipper, 5.75" long, 1.125" dia. 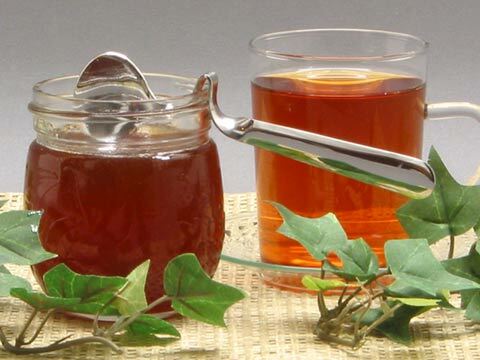 Unique handle design allows this 6 inch honey spoon to hang on the edge of a mug. White Lace wraps with yellow ribbon. 9" round with scalloped edge. 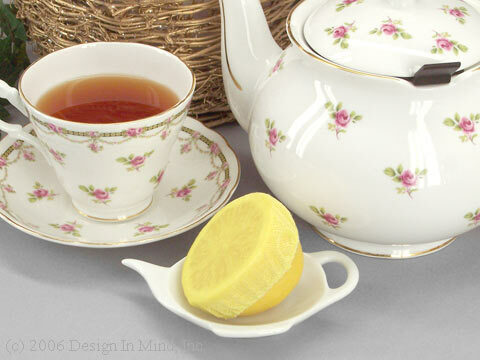 A fancy way to serve lemon with your tea. Yellow cheese cloth stretch wraps fit snugly over lemon halves or wedges for neat serving.